As we all know the UK triggered Article 50 at the end of March and this began its two year withdrawal process from the EU. The formal talks on Brexit began today in Brussels. As a result the UK will leave the EU before April 2019. The departure could be delayed but only if this delay is agreed to by the UK and all remaining EU countries. The UK will not want to contemplate a delay in the process at this early stage. Also complex negotiations like these tend to go down to the wire and only get finalised at the 11th hour as the deadline approaches. The process itself has two major phases. Phase one is to negotiate the withdrawal process or the ‘divorce’ and this is a major undertaking. The UK has been part of the EU (or Common Market as it was known then) since 1973 and over the years its affairs have become intertwined with those of the EU. The EU wants agreement reached on the rights of EU citizens living in the UK (and vice versa), the border between Northern Ireland and the Republic, and the divorce bill as part of phase one. Like all divorce settlements the financial side of things will be the most contentious and will be the cause of the biggest arguments. The EU wants the UK to pay significant money to the EU as part of the ‘divorce settlement’ – it’s estimated to be in the range of €25 billion to €100 billion depending on the assumptions made. It’s hard to see both sides still being friends at the end of those discussions. Phase two is to negotiate the future trading relationship. The EU is insisting on completing phase one, before phase two commences, while the UK would like both to take place in parallel. Looks like the EU is winning this argument. Phase two is where the hard Brexit and soft Brexit arguments really come into play. In a hard Brexit the UK would give up full access to the single market and full access to the customs union. It would also give the UK full control over its borders. In a soft Brexit the UK’s relationship with the EU would remain close and it would retain access to the single market without tariffs etc. 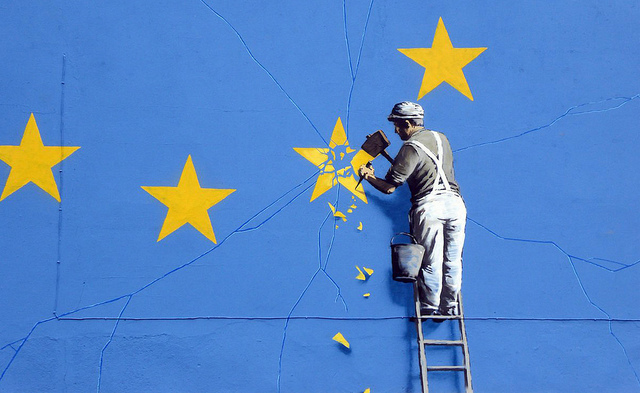 However in a soft Brexit the UK would have to sign up to the “four freedoms” of the EU – namely the free movement of goods, people, services and capital over borders. If the UK is prepared to sign up to these, then why is it leaving in the first place? No Brexit is more likely than a soft Brexit and I think the UK is too proud to do a ‘U-turn’ at this stage. Also one of the main reasons for the leave vote was the desire to restrict the free movement of people. Therefore the UK will want to restrict the movement of people as part of the final agreement. For its part the EU will want to discourage other countries from following the UK’s example and the best way to do this is to restrict its access to the single market. This leads me to conclude that the final deal will include a hard border and import / export tariffs for trade between the EU and the UK. Effectively a hard Brexit. While both sides have acknowledged a desire to avoid a hard border between the Republic and Northern Ireland, finding a creative way to avoid this may not be possible. If there is to be a restriction on the movement of people, goods and services between the EU and the UK, then there must a hard border somewhere. The North has more trade with Great Britain than it does with the Republic. Therefore the introduction of a hard border between the North and Great Britain is very unlikely. Equally I cannot see the Republic being happy to have a hard border between it and the EU. This mean hard borders would be located between the Republic and the North and between the Republic and Great Britain. Regarding import and export tariffs the worst case scenario would be the default WTO trade terms. However, I think it’s reasonable to assume that the tariffs agreed will be lower than these and that they will vary by sector. While the EU will want to discourage others from leaving the EU, it will only go so far. The introduction of tariffs will also affect the performance of EU businesses. Tariff rate quotas are likely to be used to minimise the impact on trade between the Republic and the UK. While these will reduce the impact there will still be an impact and businesses need to plan for this. Of course fluctuations in the exchange rate is also a major concern, and the weaker pound is already impacting our exports to the UK. The rate will be influenced by how well the UK performs post Brexit and Irish businesses need to understand their exposure to this. In particular they should know their breakeven exchange rate. In summary then, I believe a Hard Brexit is on the way and this will bring with it a hard border between the Republic and Northern Ireland. This will include custom checks at the border. Also I believe trade tariffs will be introduced between the Republic and the UK (including Northern Ireland). These will have a major effect on most if not all Irish businesses. Adopting a wait and see attitude is not wise on this occasion. The actions required to minimize the impact or to take advantage of opportunities arising from Brexit will take time to implement. There will be winners and losers in the business world post Brexit. Those that plan and take action now will be the winners. Businesses should take advice from the Scouts and ‘be prepared’. In my next article I will share my thoughts on what you can and should do to make sure your business is one of the winners post Brexit.